Hospitals as one of the services in the marketing world face a very tight competition dynamics, this requires the hospital management to improve itself and make efficiency, so the hospital is required to provide optimum quality for the performance given to the patient because the patient will provide subjective assessment or forming a direct perception of the image of the company or service provider concerned. Therefore, the study aims to determine the effect of service quality on the image of Dental and mouth Hospital Baiturrahmah. This study used analytic design with cross sectional approach. The sample was 96 respondents, which were chosen using consecutive sampling technique that was adjusted with inclusion and exclusion criteria. The results showed that the characteristics of respondents were aged between 21-40 years old (42.7%) with educational background of majority respondents with high school education (62.5%). The work of respondents is housewife (IRT) amount (41,7%). Of five service quality dimensions consisted of tangibility, reliablity, responsiveness assurance, and empathy, only responsiveness which has significant effect on RSGM image t-count value 3,915. Based on the r-square value of service quality is only capable of affecting image of 51%, while 49% more image is influenced by other variables. It can be concluded that there is influence responsiveness to RSGM Baiturrahmah image, but not with tangibility, reliablity, assurance, empaty. Febriani, F., & Andri, S. (2015). 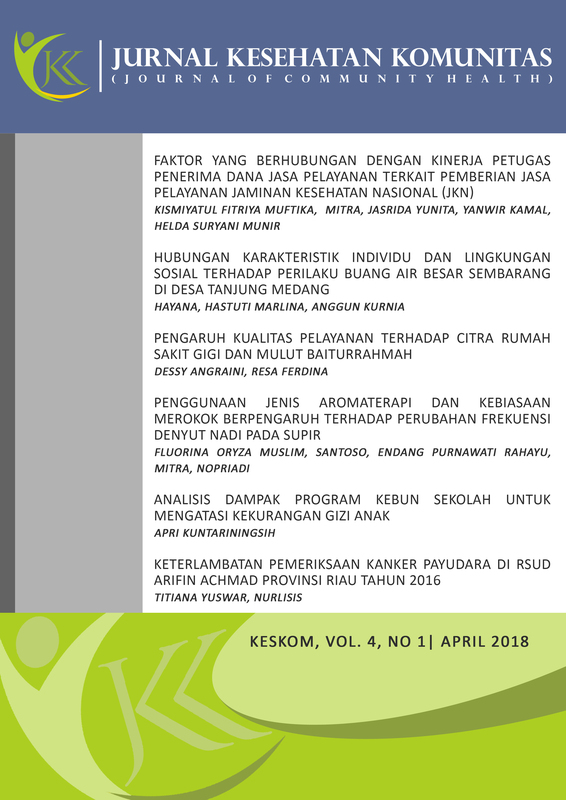 Pengaruh Kualitas Pelayanan Terhadap Citra Perusahaan (Studi Kasus Rumah Sakit Islam Ibnu Sina Pekanbaru). Jom FISIP, 2(2), 1–8. PERMENKES. (2004). Peraturan Menteri Kesehatan Republik Indonesia Nomor 1173/MENKES/PER/2004, 1–16. T, N. L. L. (2014). Co-Branding : Salah Satu Alternatif Strategi Rumah Sakit, II(2), 56–65. Wijono. (2008). Manajemen Mutu Rumah Sakit dan Kepuasan Pasien Prinsip dan Praktik. Surabaya: Duta Prima Airlangga.